HMD Global finally announced the first Android-powered Nokia flagship phone, namely, the Nokia 8. Well, to be honest, the official Nokia 8 is not much different when compared to the rumoured Nokia 8, minus the detailed camera information available with the official Nokia 8. The Nokia 8 has a gorgeous design, compact form factor thanks to the smaller 5.3-inch display, Zeiss powered rear and front cameras, latest and greatest Android version, and of course, cutting edge hardware. The smartphone has a 5.3-inch QHD display with bezels on top and bottom. A fingerprint scanner rests on the home button, same as other Nokia devices under HMD. The device is fuelled by a Qualcomm Snapdragon 835 chipset, paired with 4GB of RAM and 64GB of storage, which is expandable with a microSD card. The Nokia 8 is priced at 599 Euro (approx. Rs. 45,000). The Indian launch of the device is slated to happen at the end of September or early October. The device has three 13MP cameras (two at the back and one up front). It comes laden with Android 7.1.1 Nougat and is backed by a 3090mAh battery. On paper, the device looks like any other flagship phone. Here are the five standout features of Nokia 8, which sets it apart from the competition. The Nokia 8 is a good looking smartphone even though it has bezels on top and bottom. HMD did not go after the bezel-less design, which most of the smartphone brands are following in 2017. 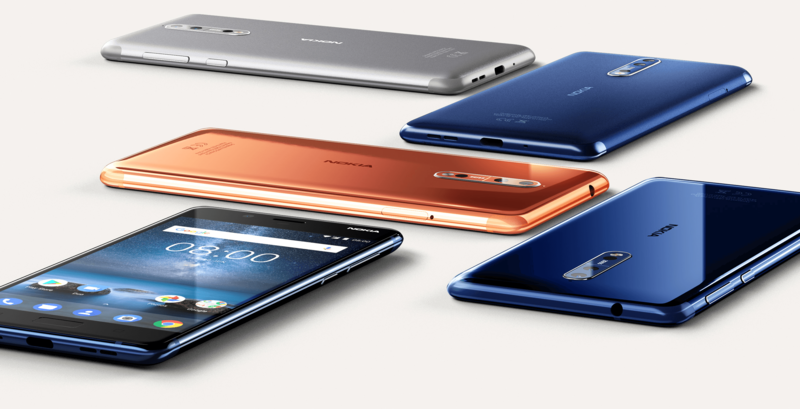 The Nokia 8 is slim at 7.3mm and comes in four colours glossy blue and copper, matte blue and grey. Bothie mode- will it replace selfie? This is what makes the Nokia 8 separate from other flagship phones in the market. 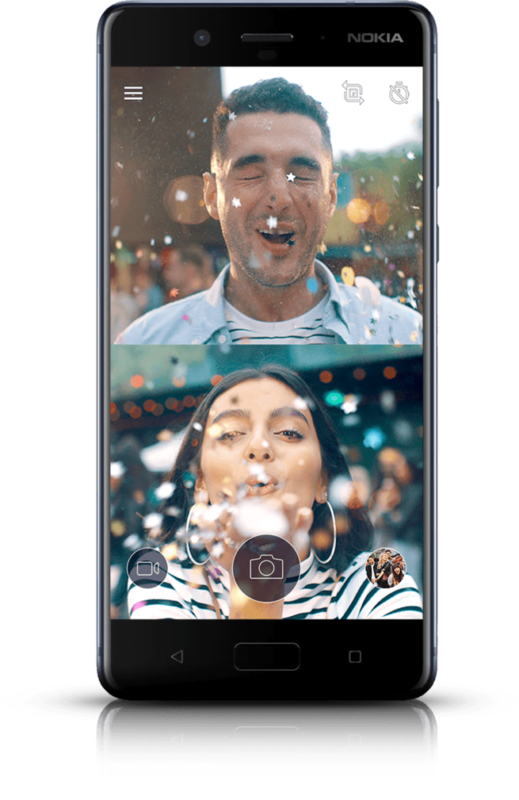 The Nokia 8 comes with a new ‘Bothie’ mode, which is similar to what LG is offering. It uses both the front and rear cameras simultaneously to capture images. However, HMD is taking it to next level by adding live broadcasting to social media platforms such as YouTube and Facebook. That said, this is more of a software gimmick with a new ‘Bothie’ name. However, this feature is massively useful for people attending events. Another highlight in the Nokia 8 is the OZO Audio technology. With this technology, the smartphone will be able to record 360-degree audio and delivers clear and immersive audio than the current generation smartphones. The Nokia 8 has three 13MP cameras- two at the back and one up front. The twin cameras at the back capture RGB shots and monochrome shots for detailed information. Up front, there’s a 13MP front-facing camera as well. All the three lenses are powered by Zeiss. Well, this should be the marquee feature of Nokia 8. As seen with other Nokia devices released this year, the Nokia 8 also comes laden with stock Android 7.1.1 Nougat with no customizations on top. HMD also confirmed that the Nokia 8 would be amongst the first smartphones to get Android O.